Isumi arrives to gag things up a bit but basically, she says the same thing and points out to Hakuo's student council tower. Hayate and Nagi go there... but not without Isumi and her mother tagging along when asked, Hatsuho responds with her: "if I had to give a reason, it would be because..."
Hayate marvels at how huge the clocktower is and Nagi says it's about 300 meters. 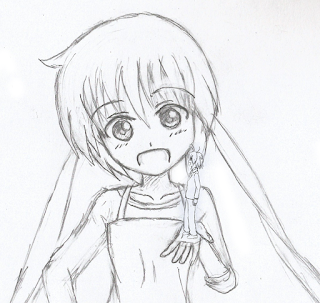 Hayate says that it would be hard to find a tiny key in there but Hatsuho has THE ANSWER with her crystal ball! An arrow appears in the crystal ball that points upwards... which is absolutely no help. Some pink-haired girl arrives and wants to get involved. Hayate explains the situation to her and she offers to help because everyone inside is tired of studying and because her fans are suffering withdrawal syndrome. Anywayz, inside, they find the SC trio clowning around as usual. Anyway, they all decide to spend the night searching for the key. Meanwhile Housen is monitoring their movements from a tree... I made that rhyme on purpose. Isumi and her mom are being totally useless again. 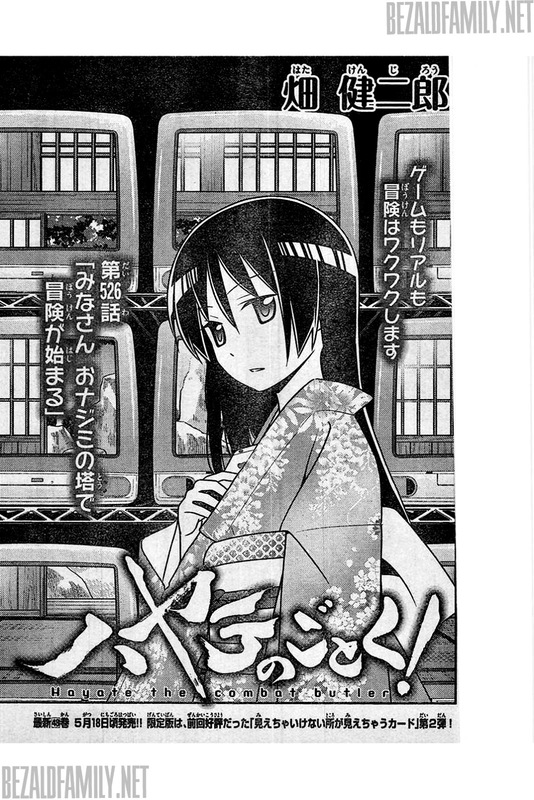 Isumi wants to use her iPhone fortune-telling skills to look for the key. Review: Well, not much is happening right now. If you enjoyed the goofball antics of Isumi and her mother, I guess that's all well and good. 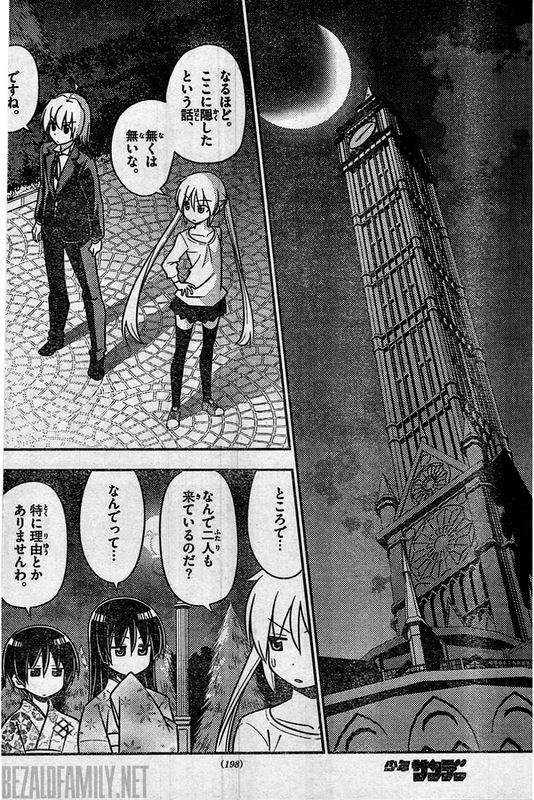 Anyway, the two things that stand out here are the mention of the Celestial Sphere inside of the Hakuo clock tower and its possible connections with the Royal Garden and Athena and of course, there's Housen watching over everything from some tree. Speculation Corner: I think the reason that "the bomb" and Hayate's reflections on Nagi's feelings are being forestalled is because these two will be very pivotal to this final arc's plot. I'd even go as far as to say that "the bomb" itself will be the climax or at least near the climax of this arc. I'm sure we can expect Nagi to be awesome again sometime in this arc, but what I'm really hoping for is that we get to see Hayate himself doing something that would actually make me like him better... his development has just been so lopsided in contrast to Nagi and they are co-main characters here after all. Fanart Corner: Got quite a few this week to make up for the rather sparse review. Enjoy! Is she BIG enough for you now, Hayate-kun? I've turned this one into a bag design. 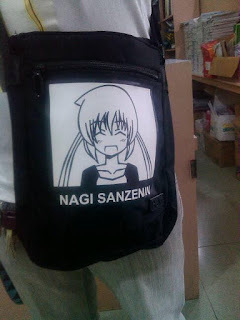 Here's the bag on which I had that one smiling face fanart printed on. With those rhyming skills I feel even lordcloudx could be a brilliant rapper. 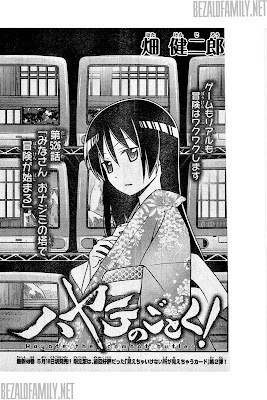 Isumi's mum is still her ambiguous self and Housen is is still a stalker. I agree with your theory that the bomb will be like the major thing in this arc and will happen with lot of drama, tears and angst. I will love the drama, tears, and angst... although it will be a whole lot of fuel for the Nagi haters. Speaking of Housen... 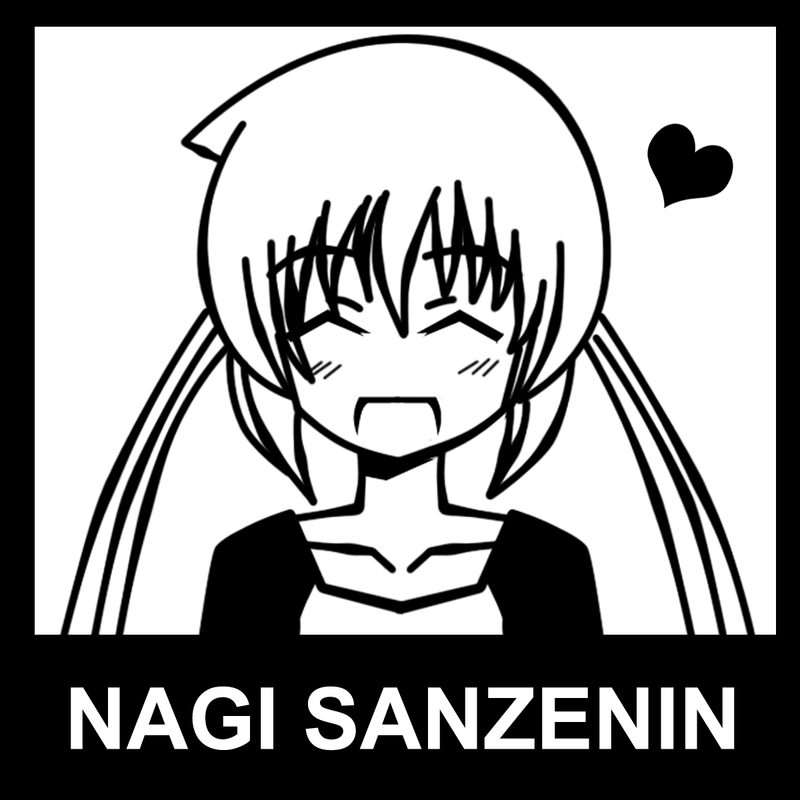 I wonder if anyone from Hayate's side can actually stand up to her in a straight-up fight. Hayate doesn't seem up to the task and he had Isumi and Tama with him at that time. Maybe Hinagiku with Shirousakura equipped since Athena is absent and Ikusa's not getting involved in this so far. I somehow think the clocktower will be related to the last 2 episodes of season 4 since that was also related to time. And I also think that the season 3 finale will be incorporated over here. But right now, the way hayate is reacting to nagi's feelings for him (I really think that he's not in the dark anymore) is making me nervous about how this will turn out to be. Interesting observation and thank you for your comment! Personally, I'd prefer for the climax to take place at Loser Park with just Hayate and Nagi in front of the vending machines, but that's just me. 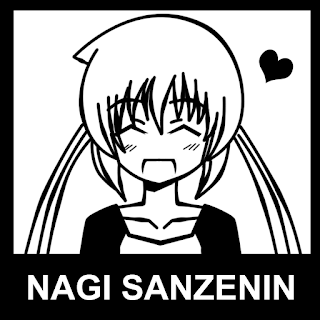 Hayate should at least partially be aware of Nagi's feelings for him after she showed him her manga's plot. The problem is that he doesn't seem to be taking her feelings seriously or at least we're not given any insight as to how he really feels about said feelings. Given the way he's acting, it looks more like he thinks Nagi just has a slight crush on him and that he can resolve things easily by ensuring that he protects her future by making sure that she becomes the sole heirress to the Sanzen'in estate. Unfortunately, he's making a very big mistake if this is how he's taking things because Nagi's feelings for him are more real than he could imagine and if he doesn't take care of these feelings, then it's going to result in a very huge explosion of negative feelings -- which will all play in Hisui's favor. 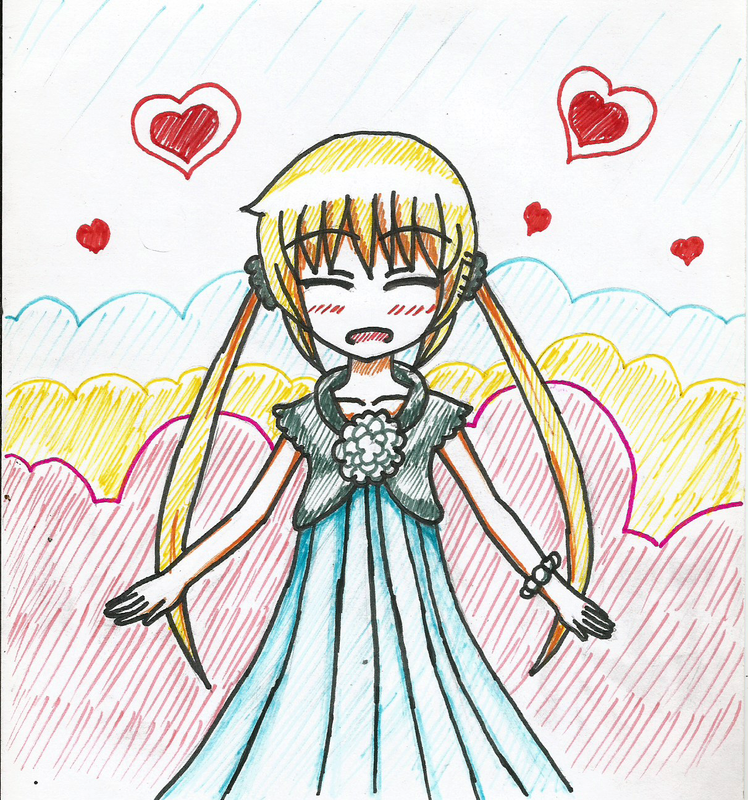 I hope hayate doesn't think that nagi only has a slight crush on him. I hope he thinks about her feelings more seriously. These last few months nagi is the one with whom he has spent the most time. 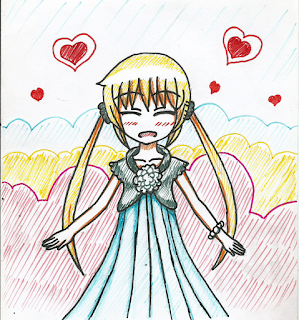 When he first saw the manga, I think at least he should have given more time thinking about her and pondered over why nagi drew that manga, a few flashbacks could also have been shown. 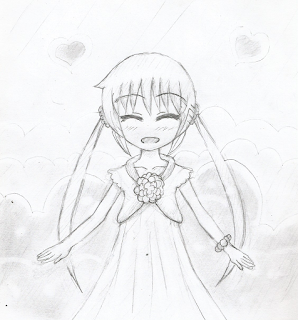 I hope over time hayate makes it clear about how he feels for her. YES! YES! Exactly! 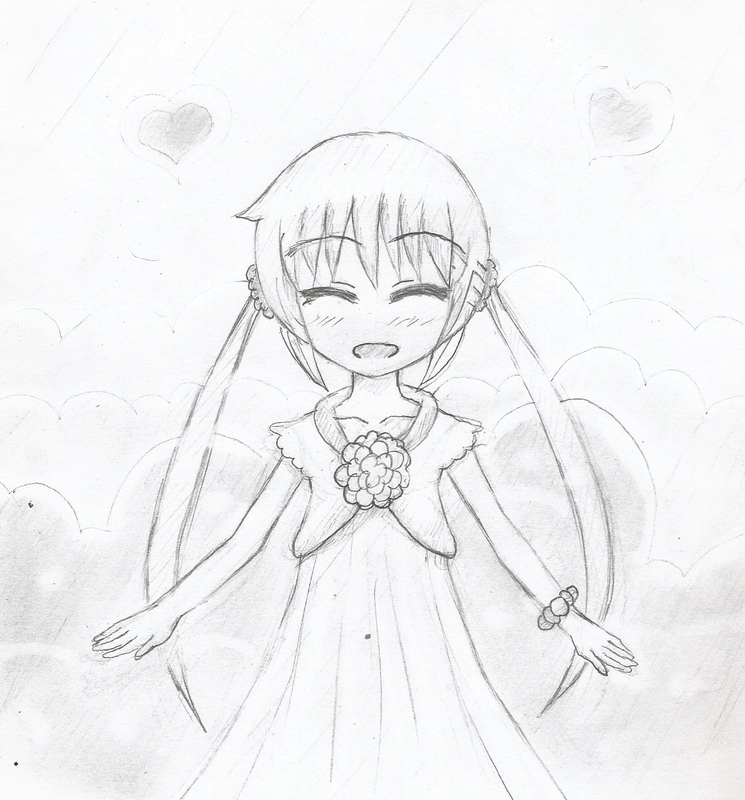 Hayate can't take her feelings lightly. It would be a great injustice (and a big waste of character development, to quote some other shippers) after how the manga has shown her growth and all of the things she has done for him so far.